BulgariaSki.com team went to Semkovo to check out the skiing conditions in the resort. The weather down in he bosom of the mountain was sunny and we were a little bit worried about the snow cover in the resort. You can reach Semkovo through only one way - it is a 15 kilometers long road- a junction from the town of Belitsa where the “Reserve for dancing bears” is situated. The weather was so sunny and perfect down in the valley that no one would tell that there is snow up in the mountain for sure. However it took us just 10 minutes to realize that we have passed the "snow curve" of the road. It is incredible- the southern part of the road was wet and dry, and just a few meters ahead there were loads and loads of fresh snow. As I already mentioned - Semkovo can be reached through only one way. Just a couple of kilometers up the road and there it was - heavy snowfall was making all of the skiers happy. Despite of the bad weather the skiers were happy to try the fresh snow that has just fallen on the slopes. Everyone was taking out the skies and snowboard and heading up to the northern slope which is the most difficult slope in the resort. The atmosphere is just intoxicating. Semkovo is so much more different from the other big and noisy resorts. People are definitely having great fun here. There are no dusty and muddy streets to walk until you reach the slopes. It is just virgin nature. Crystal clear sky-sparkling white snow. The perfect site to feel that you are actually the “King of the Mountain”. And the mountain is just brilliant. Of course this is not a modern and sophisticated resort - it is a site that will be appreciate only by connoisseurs. 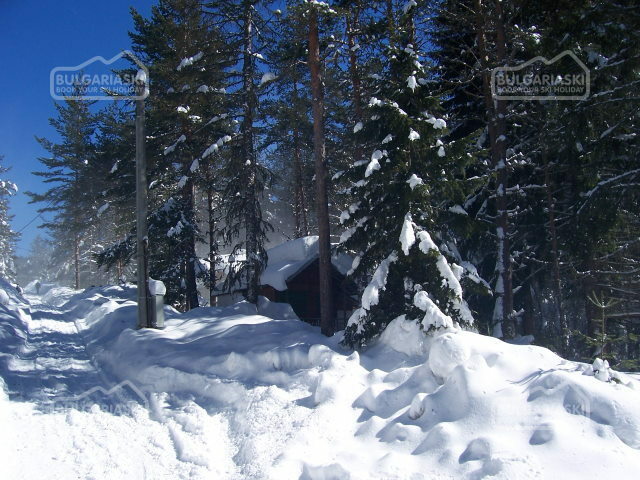 You will find everything needed for your perfect skiing holiday here. %LIMG12The hotels here are warm and cosy. The only disadvantage that keeps them lower class is the old fashioned furniture inside the rooms. However this will soon be changed, because Semkovo is getting more and more popular and this will definitely give a chance to investors to make some improvements of the material base in the site. There are hundreds of tourists in the site at the moment and in not more than a couple of days people are all becoming friends. There is an old Bulgarian saying that the mountain is making people warmer and friendly. And I have no doubt that this is true (at least in Semkovo). Thus there is no wonder that such noisy parties are happening in the site. Once you get out of the hotel you are grasped by the magnetic cleanness of the virgin nature in the Natural Park. Everything is covered with heavy white snow. The fir threes are bending under the heavy snow- drifts. You head to the slopes with your skies on right from the door of your hotel. 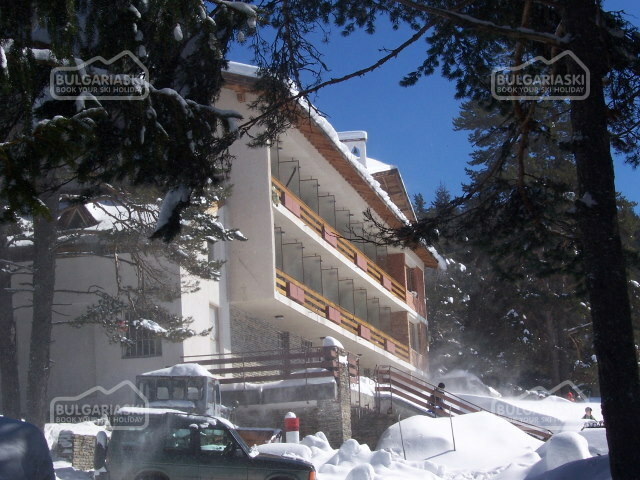 The pistes for beginners is just behind hotel Rila. The panoramic windows from the day bar of the hotel are offering perfect view to the slope. 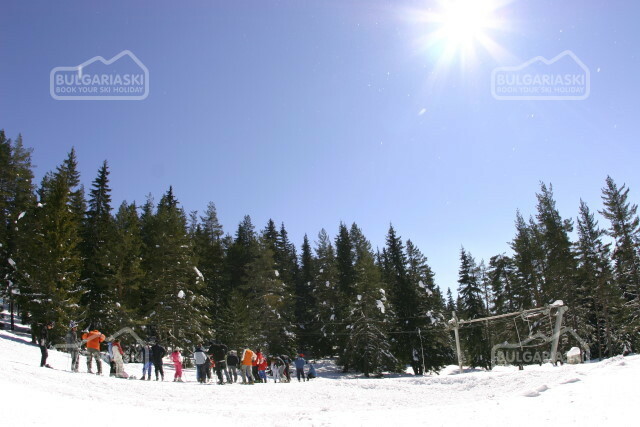 On the other direction just less than a kilometer away from the hotel Rila is situated the ski zone for intermediates and experts. You can reach the top of the slopes by a perfectly maintained drag lift. Once you get on the top you can choose between “The Southern” difficult piste. If this is not enough for you you can go ahead down the easy slope right on the top of the ridge of the mountain in eastern direction. There you can make your way down either “The North 1” difficult slope or the very difficult “Tepeto” run. There are three more slopes for beginners to the west they are almost connected with one another. From the top of the ridge Edelweiss nursery slope is heading down to a medium run which will take you right to the back side of Rila hotel. 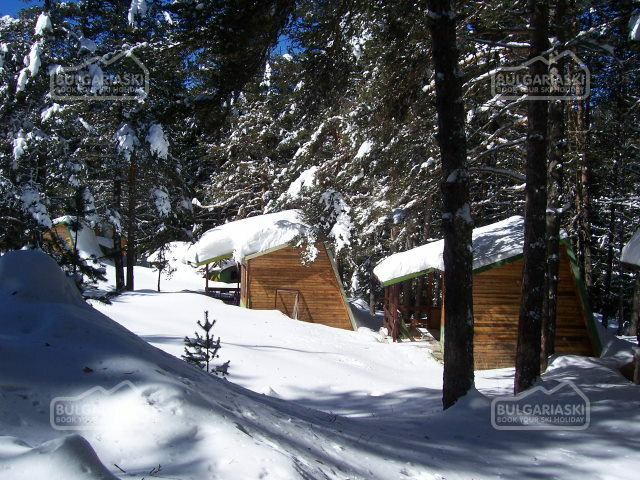 The snow cover in the resort usually lasts from the end of November until mid April. In the autumn the site is covered with numerous colourful and aromatic flowers and herbs. During the summer Semokovo is a starting position for numerous mountain routes in Rila mountain and Rila Natural reserve. Interesting hiking routes are: Dobarsko chalet - 4.30 hrs Macedonia- 3.00 hrs Ribni ezera (Rila lakes) chalet- 5.00hrs Chranchar chalet- 6.00 hrs Treshtnik chalet- 3. 30hrs Suhoto ezero (Dry lakes)- 1.30 hrs Skalishki ezera (Rocky lakes)- 2.30 hrs The autumn in this part of the Rila mountain is marked by the unique charm of the purple saffron. 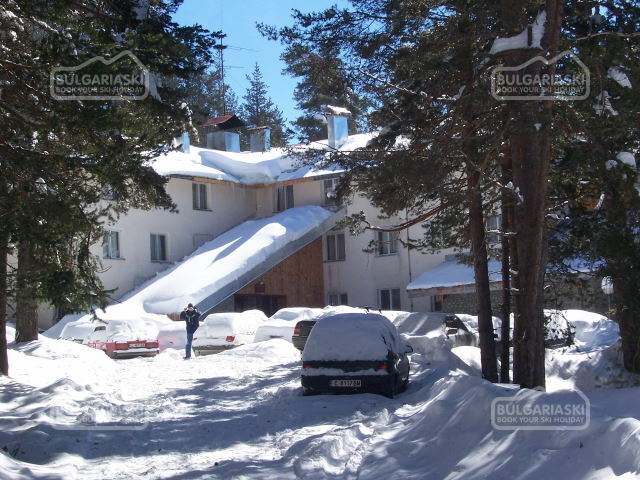 BulgariaSki.com team definitely recommends Semkovo and hotel Rila as a site that is a must for those who wish to find a getaway, to scent the beauty of the mountain. How to get there: The town of Belitsa is situated just between the Undola passage- Rila and Rodope mountain and Predela passage between Rila and Pirin mountains. From Belitsa there is a sign to the junction that heads to Semkovo mountain resort. It is 16 kilometers long and is the only way the you can reach the resort! That is true , this is a paradise on earth. iwas there b4 two weeks...it is a place to relax and enjoy the mountain with your company. I have to admit however that the room (hotel rila) was not so warm( in fact the room was chilled, i had to wear ski clothes to sleep) and the ski lifts cannot cope with more than 2-3 dozens of skiers. All in all, this is primarily a place to relax and enjoy nature at its best. i will definetely go back next year. Please, post a comment on Semkovo- a little paradise. 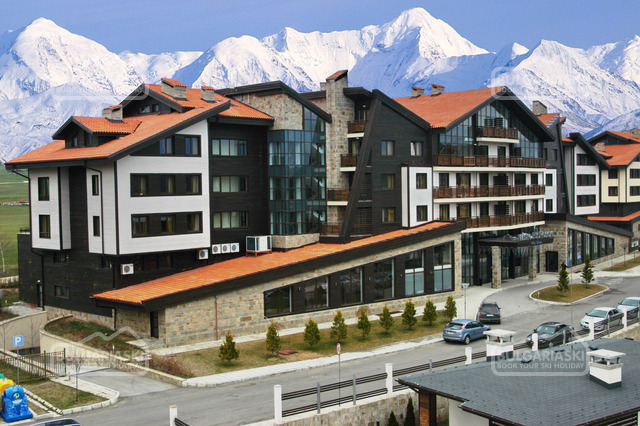 Early booking - 15% Vihren Palace hotel Bansko, Vihren Palace hotel -15% discount until 01 Oct 2019 and 10% discount until 16 Nov 2019!